During my 25 years working with early stage technology CEOs, I have found myself referring to the make it- or break-it characteristics that lead a CEO to succeed or fail, separate from market conditions, capital conditions and other external factors, many of which cannot be controlled. So, rather than keep them to myself as an internal checklist, I thought to explore them here in a series of postings, digging deeper than I have done before. Comments are welcome. Note that these are not tactical considerations, but strategic skill sets that can be applied to any venture. This list doesn’t look like other lists or chapter headings I have seen — it seems adjacent to the usual business school outline. These skill sets create successful serial entrepreneurs who can fail at one venture and still succeed at several others. My experience has shown me that at least one of these characteristics was missing in any failed company I witnessed or evaluated, even if the other 9 characteristics were in play, despite market conditions. Please join me in this exploration as I post these upcoming 10 blogs over the coming weeks. I’d appreciate your thoughts as this conversation evolves. You have a vision and clarity of purpose. Others see you as having some secret magic that they want to share. You thrill at being the director of your own destiny, and at the opportunity to make the next new thing. You are exuberant in your energy as you move towards the fulfillment of your vision, and this reads as charisma to others, and makes them follow you. You make the tough decisions, the ones that make others join up with you, and even the ones that cause you or others grief (personally or professionally). For example, you may need to remove a close friend from your startup team during year 2, after extensive commitment from the friend, when that person no longer is a significant contributor to the future of the company. Or, you must choose to accept or reject an influx of needed capital based on deal terms that may change the direction of your company. You see the larger picture of your company, its place in the market, your place in the company, and your team’s effectiveness to reach the company’s goals. Despite your feelings about what your new company can do, realism must inform your decisions about issues such as: how significant is your company in the marketplace? Would anything change in the market if your company disappeared? What is your team’s true ability to reach the company’s goals? What is your own ability to lead your team and the company to those goals? This realism that sees the larger view may lead you to changes in your capital needs, in the configuration of your team, and in your willingness to accept new deals or change the company’s direction. You determine the fate of others. No way around it, if you are the boss, you determine what you will demand of your team in terms of performance, hours worked, time free for other priorities, compensation and employment, now and in the future. You set boundaries and expectations on your self, your company, your advisors and your team members. You create (and change) the culture for your team and your company in the early stages, and outside pressures will move that culture, usually from one of openness to one of more segmentation within the ranks of employees as the company grows. Information that was openly shared with the original team will be kept private as outside investors commit funds, as larger decisions need to be made, and as “time-to-decision” becomes a critical factor to moving the company forward. These changes will require you to change your early culture, with or without disclosing these changes to folks who have been with you in previous phases. You make judgments about opportunities, people, their actions, your actions. Some of the first judgments will be about control. Do you share control with your founding teammates, because they are sharing your risk? What if they are sharing some of the risk, but none of the capital risk? Is it equal then? Do you use stock ownership as the basis for control, or do you isolate control for yourself (if you are taking the majority of risk) or share it with a small executive board? And when new owners and capital investors arrive, how does that control shift? These decisions must be made early on, with an eye to the larger view mentioned above. You are willing and comfortable engaging directly with conflict – from your team, your investors, your competitors, and from larger economic forces. As CEO, your founding members may want more than is reasonable for their risk long after they have been committing that risk, or will resist a change in control (however rational). Competitors may tell lies about you or your company to gain an edge, or will undercut your pricing, or distort your positioning or undermine your distribution channels. Larger economic forces may demand you change your revenue model, capital strategy and other plans that will disrupt the understandings of reward and future gain you have established with your team and your investors. You must not be conflict-averse, but must directly deal with any and all of these occurrences, knowing the best time and way to confront the conflict and to uphold the choices you make as CEO. From these judgments and conflicts, you make decisions, right or wrong, usually under tight time constraints. From these decisions, you must be strong enough to live with their consequences. This may mean your wrong judgment costs you the company, or certain key staff members, or long-standing friends and partners, or the capital committed by family and friends. To mention nothing of lawsuits. Many powerful people with strong traits of leadership still should not necessarily lead a new company. These would include those folks whose natures move them to avoid conflict; those who prefer to be advisors who are supportive of leaders; those who prefer collaboration to the isolation and judgments necessary for leadership; and specialists whose best contribution is a narrow niche of expertise for use by the team. Others offer their best service by following directives and working closely in teams to move the company ahead. Leadership is exciting and dynamic and stressful and not for everyone. Understanding what you must do to lead a new company as its CEO is critical to its success, and yours. We live in a capitalist society. We build businesses. For all the adjacent reasons to build a business – inventing the next new thing, changing the world, advancing humankind – a business must make money, create profit, and keep growing (or at least bettering) itself. For this you must understand the numbers, even if you can’t create or manipulate them. The first item on my checklist of a potential client is “What is his background? Is he a techie, a sales guy, an attorney?” I rarely see a financial specialist start a technology company as its CEO. This could be the technology niche I occupy, or it could be that financial folks like their supporting roles and don’t want to be the head honcho. One lucky fact is that there are a great number of trained Certified Public Accountants (CPAs) in the world, as well as Controllers and Chief Financial Officers (CFOs). And bookkeepers. So it is possible for you, as a CEO, to have excellent support in this area. If you are an early stage start-up CEO, hire a CPA or CFO with start-up experience, as well as a deep background in your industry. Keep reaching into your network until you find this person. Experience in large corporate accounting work does not prepare anyone for the roller coaster cash management required for a start up. One client’s CFO was visited by one of the company’s Advisors, a senior executive with more than 30 years’ experience building divisions within a Fortune 50 financial services company. He was visiting to help, as the company was struggling. The Advisor asked, “Show me your cash planning analysis.” The CFO laughed. “That’s easy. When the cash comes in, I look at what is most urgent to pay, and the cash goes out.” Both were right – cash planning is important, and startups often don’t have enough cash to plan around. The struggles faced by startups – from capital raising, to matching growth with available resources, to controlling margins and more – can demand an even tighter control and deeper comprehension of how to handle cash, capital and credit than more established companies . 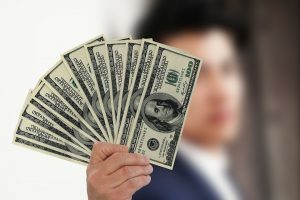 Many years ago, during the “honeymoon period” I establish with each new client (30-60 days under contract to get to know one another), I discovered how badly my new client understood cash management. When she didn’t know the scheduled date that her bank loan would demand a partial repayment – some months away – and had not considered planning for this event, I knew the company was doomed, as her only financial support was her bookkeeper. Since then I have always reviewed the books of a prospective client before signing on to consult. Other financial savvy requires understanding how much capital is required to begin a new venture. Once I talked a client out of his first idea, showing him that he would spend all his startup capital to launch a venture which would never create wealth, even if it succeeded for the first four years (as it would perish in year 5 from time-to-market strategic issues). His next idea was so large, I had to tell him, “This idea is 10 years ahead of its time, will require $50M to launch, and $30M more to sustain until you know if it can succeed. And by then the way business is done in this industry will have morphed due to new technology, and you may have spent that capital for nothing.” He came back with a much smaller, more immediately deployable idea that we started with the capital he had available. It is said that the numbers do not lie. Now, we all know the “interpretation” of the numbers can lie. But internally, your numbers should show you the stark reality of what is needed (and when) in cash, credit and capital to move you to each next strategic step. The secret is to work with a CFO you can trust, and to tell yourself the truth. New companies are often killed by the CEO’s denial and optimism around the basic financial truths of his own company. So, if you have a head for numbers, you will know how to find the best finance person to meet your needs. If you understand your product, industry and market, but not how to read your balance sheet and income statement, get educated. There are many tools for this – books, seminars, training. Our own guest blogger, Gene Siciliano, has written such a book for you (McGraw-Hill), and an e-book primer for your administrative assistant http://bit.ly/cxPnkR . Do not get distracted from your strategic goals of making a profit. Top line revenue is important, but profit (as my father used to say) covers a multitude of sins. Profit gives you flexibility and more options. It allows you to defend and sustain your strategic direction. Many times I have seen a new CEO distract himself from his own declared goals to pursue some intriguing opportunity that is adjacent or afar from his path to profitability. In this alternative pursuit, the company’s attention and resources are pulled away from its path. This lack of discipline is more dangerous in an early stage company that needs traction in its own field, and revenue and profit to establish itself. A CEO needs to focus on the goal and drive the company to profitability, changing direction only for real issues of new threats or changing market trends. Education, expert support, honesty and discipline: it’s all about the numbers. The burden of initial success in an early stage company sits on the shoulders of the CEO. Beyond your domain expertise, leadership and financial savvy, you must be able to pitch and close – that is, sell. You must sell your vision for your company and its future success, and you must sell your early marquee accounts on your product or service. No matter what expertise brought you to your CEO position in your entrepreneurial venture, this skill is essential to your early success. Passion for your idea, product, service or company is not enough. One client with no experience in selling or closing was certain his passion and clarity were enough to raise his initial capital. Although I packaged a dynamite presentation for him, he refused to let me train him in pitching and closing, and refused to find training elsewhere. He insisted on going to these investor presentations on his own. In the end, he closed his immediate family, no outside angel groups or private investors, and ultimately couldn’t close his cousins. The problem: he couldn’t bring himself to make the 3rd phone call to continue the pitch and he couldn’t ask for the close. In his embarrassment, he busied himself with operational issues, avoiding his capital raising duties. Another client was a premier deal maker in his industry, and knew plenty of colleagues with money to invest. In spite of a well-timed good idea, and his own initial capital, and our excellent pitch presentation, he couldn’t raise any capital. This puzzled me, as he was great at pitching. Finally I figured out the problem: in his deal making days, he had the checkbook. When we needed to ask someone else to write a check, he couldn’t close. Now, if you have a successful background in sales, you will need to fortify your team with the other expertise in finance, technology and so on. Then you can sell your vision to investors to gain capital, and your initial products to create market traction. But if you do not have sales in your background or in your nature, you must gain some of these skills, and also find this expertise in a key hire or a partner who understands how to pitch and close, and take this person with you. If you are dependent on this person, be sure to compensate him or her well for success. But you must do more. You must learn the basics of selling, even if you have had no experience or interest in this before – especially if you have had no interest in this before. And I mean you should go through an intensive, professional training program in selling. It may be only a few days’ training, but you need to understand the context of selling, and the tactics of closing. There are a surprising number of folks who can pitch, and not so many who can carry the sale through to the close. This training will not make you a sales professional, but it will let you understand how to overcome objections, refuse to take “no” for an answer (more times than you can imagine), and strengthen your resolve to keep moving forward in the sales cycle to get to the close (even if you have a sales executive with you). It should help you overcome any shyness or embarrassment when closing. I remember learning early in my career that the Xerox Sales Training Manual (a bible of training in its time, and now http://bit.ly/ca23IT ) taught that you had not heard the word “no” until after the 8th time it was said. Until that point, everything was simply an objection to be overcome. And then there was a new strategy to handle the 8th “no.” When I explain this to some of my CEO clients, they can not imagine hearing a refusal 8 times and continuing to sell. Investors and buyers look to the CEO as the foundation for the future success of the business and its product line. You need capital and revenue from sales as early as possible. You must project the assurance of selling and closing to represent this foundation of success. You must not be totally dependent on another person (key employee or partner) to do all the heavy lifting in your company for generating the capital and revenue that is its lifeblood. It weakens your position in the company and your control of your future. Even if that partner is loyal and committed to you and the company, someday the bus runs us over when we are not looking. Loss of that person for any reason can cost you your company if you cannot carry your own weight in closing. A major U.S. Fund asked me to conduct the due diligence on an investment in a new technology company they were considering. “We like this company but we don’t have the right “next questions” to ask, or the depth of industry expertise to truly understand the risk profile of this investment. Visit the company, conduct your own diligence, and tell us what you think of our risk assessment.” The plan was good and the technology was sound. What was missing was a key sales executive who knew this technology, its market space, and distribution channel development (not an easy set of qualifications to find). The CEO, the Operations and Marketing executives had none of this experience. I reported that the Fund’s risk assessment did not take into account how critical this employee would be, and that the company did not yet have a significant candidate for this role. And so we didn’t know if the company could find one, incent one or keep one. Therefore the risk of the investment was higher than the Fund had considered. This was the key issue that made the Fund pass on the deal. If anyone on the management team had had this missing experience, and could have established at least initial market traction in sales, the Fund would have invested the $5 million dollars. Pitching and closing capital and revenue is critical to early stage ventures, and as CEO, you need to be able to support your vision with this skill. Folks don’t talk directly about “honor” anymore, not out loud, except perhaps in the military. It isn’t common language. But honor plays a part in every interaction, and is the basis for our enduring reputation in our community. Perhaps the concept closest to honor is a current word (a marketing term in social media actually), “authentic.” Authentic is what is real; it is what makes people trust you. Authenticity is the face of the honor underneath. Johnson & Johnson upheld its credo. The consumer response to the Tylenol scare was gratitude for its honorable behavior, and a brand that has persisted since its founding in 1886. Toyota’s current reputational damage is not only about its sticking accelerators. The distrust is a result of the information that Toyota knew about the problem and still allowed these dangerous cars into the worldwide market. Toyota cared more about its profitability than about its customers. Citigroup has been announcing its new program to fund $200M to generate small business loans in low income communities in the U.S. This is not honor or authenticity – it is public relations. We may appreciate the Fund, but we still don’t trust Citigroup, because we can see its balance sheet and the profits it makes in light of its banking scandal. The trouble with behaving dishonorably to people, or in your own self-interest, or in letting folks see that your self-interest is primary, is that they don’t trust your word, or your intentions, or your likelihood of offering them a fair deal. Once your reputation is tarnished, the community carries a context that you cannot be trusted, and all the King’s horses and all the King’s men cannot put your reputation back together again. And in this age of social media tools and public profiles, you might think you can maintain a “persona” that you control. But these same tools allow for the multiple-click background check, so you cannot afford to be less than your real self. And if you can avoid appearing as a result of any search (I have heard of two such persons recently), then you are even more untrustworthy, likely a myth or a spy or a crook, for who could not be found by the powerful search engines now, 15 years after the Web has been in play? How do we display our authentic selves? We tell the truth. We promote, but we don’t pretend we can do something for which we have no expertise. We return the extra change to the teller when it is wrong. We don’t rip people off. We don’t take their money and not deliver the goods. In our customer-centric marketplace, the new currency is authenticity and the fair deal (honorable behavior) with the customer’s best interest at heart. It is keeping your word. I have often heard, “You know, it is really rare to work with someone who actually does what she says she will do.” This always surprises me, both from a personal and a business point of view. So, perhaps, in your own self-interest, it is now wise to behave with some grace and generosity. If you are a selfish person, perhaps it is self-serving for you to learn some new ways of authenticity. “An entrepreneur is someone who has lost one, won one, and started at third company,” I said once to my new client. There are dreamers and doers. The first-time entrepreneur could be either — only time and experience and actions will tell. Dreamers think large, then start and stop. They get derailed. Something always gets in the way of the execution, the doing, of the dream. One corporate executive, fleeing into the independence of consulting, spent three months setting up his office, stationery and fax machine. Of course, he never became a consultant and was re-employed within months. Some dreamers imagine a huge world-changing company, requiring tens of millions of dollars just to begin, and which are 5-10 years ahead of the market adoption they need to create this change. Many of these entrepreneurs are highly intelligent visionaries who can see and describe what is needed. Most of them cannot implement. A doer with such an overwhelming vision builds the pieces that can be adopted by the market, watches the changes brought about by that adoption, then builds the next and the next, in sequence, as the market is ready for each next step. And many of the next steps are adjacent to his original vision, or a new technology arrives that changes the vision itself. Doers build a product or service, march out and test it (and their idea about it) in the marketplace, learn, re-learn and keep going. They have a vision, but they are pragmatic. They trust their instincts and decisions, but verify their assumptions and set a great deal of others’ rewards on performance. This is the realism of a successful CEO. Each company they build teaches them the next lessons they need to know. Each company they lose can teach them more than the company that wins an exit. The company that wins an exit but creates no wealth for the founders, and no opportunity to launch the next new thing, teaches more than all the other attempts, as it offers the ultimate in realism — that the control of the business (its capital, stock, voting and market timing) and its success must set up the next business, or philanthropy, or new life, and then the next. One of my favorite clients built her software company, watched her channels and her margins, made smart deals, survived her divorce, kept focused through the trials of the company’s growth (including slowing it down when appropriate), and sold her company, all in four years. She moved on with her tens of millions of dollars to build a non-profit in education. She surrounded herself with the best advisors and supporters, and wasn’t afraid to ask for the help she needed. She did not shy away from the realities of what it takes to grow and sell a business, and she stayed focused to the end. Each venture teaches the entrepreneurial doer more about himself or herself – his strengths, the roles he wanted but didn’t enjoy (CEO? COO? CTO? ), his utter weaknesses that he should always leave to trusted others. A CEO must be a realist about everything: capital, stock, hiring, dysfunctional team members, the market, the moving trends that affect the business, all the components on the org chart, the silos of management, and the outside forces he cannot foresee. If a CEO takes on a weak partner (perhaps a friend), or cedes management to an outsider, he will need to keep any eye on the partner or the outsider. Another of my favorite clients is on Company #7. Only one failed, and it took the tech bubble bursting to bring that one down. He has a talent for market timing, can build his own technology and market it – a rare combination. He is fast and “rough” – he puts his technology in the marketplace to see the response, then adjusts his vision, his opinions and his product to meet the market demand. He can recognize a small, back-bedroom cash machine opportunity, and a large acquisition exit business, and knows how much of his time and resources to focus on each. He partners well with other successful entrepreneurs like himself. But for all his talents, his success has always been based on executing quickly on a tested idea in an empty market space. He is a premier doer. It is this focus and discipline, this willingness to see the realities in front of us, and to adjust to them directly, taking action, that makes the successful CEO. Perseverance for the technology entrepreneur is tricky ~ you must sustain your energy and your vision, but adapt to a fast changing market without losing ground on what you have created. And this condition persists throughout the life of your company and career. So perseverance for the technology CEO is not just in the early stages of success, but ongoing. This of course is the stuff of great stories. Col. Harland Sanders began franchising his 20-years-famous chicken recipe by cooking the chicken (in a fast pressure cooker with his secret herbs) door-to-door to restaurants, beginning when he was 65. (Note he was 40 before he was known for the secret recipe.) If the restaurant owner liked the chicken, they shook hands and agreed that the Colonel would receive 5 cents per piece of chicken sold. To protect his secret recipe, he sent packets of the herbs to each owner. Legend has it the Colonel persevered through more than 1,000 rejections before he got his first “yes” for a franchise. By age 74, he had 600 franchisees and sold his company for $2M (those are two million 1964 dollars) and stayed on as the company’s spokesman. By age 86, the Colonel was the 2nd most recognized celebrity in the world. Steve Jobs built Apple Computer Company (version 1.0) when he was 20. At 30, Steven had made Apple a $2 Billion empire, and he was publicly fired. Next he built Next Computer Company, which was ultimately sold to Apple, and he returned to make Apple the company it is today (version 2.0), while at the same time continuing to build Pixar, which he sold to Disney. History is written by… There is similarity in all such entrepreneurs’ stories: History is written by the victors, because they are in a position to write the texts and tell the story. And the suffering and long nights and doubts and disappointments, the strain on finances and family, the lost other opportunities and roads not chosen – these are all lost in the condensed version of the re-telling of the American dream. They are added for human interest, for drama, but the telling isn’t the living of it. So, how do you know the best path, and when to persevere? Get help – get good advice on strategy, legal and financial issues, but only from consultants or advisors deep in your market space with a long history in helping early stage companies. Slow down – take some time to think, to test your gut. Just because your advisors say so, you do not need to follow their suggestions. It is your risk, not theirs. If you must shift direction, shift to a near-adjacent market or business model, to retain what is useful in what you have already created. Slow down enough to assess the timeline and costs required for the shift to be effective, and to assess if the reward will be worth the risk in time, execution and capital. Keep looking four or five chess-moves ahead in the market. If you take the shift, what are the next 5 choices you can expect to confront? What are the alternate paths for each choice? Do any of the paths corrupt or kill your key vision? Ask yourself, “What is the worst that can happen?” If you can live with the answer, carry on. Ignore any noise in your head about embarrassment. There is no embarrassment in striving for your vision. If you fail, no one will care. If you succeed, your attempts become part of the success story you write. You cannot move forward if you are self-conscious. Try to sleep. Really. Exhaustion does not make good decisions. Many insights are gained by letting your deep subconscious mind work the problem and offer a new solution. In our fast-moving world of sound bites, information overwhelm, time-shifting and 24/7 availability, it is rare for a CEO to hear any advice that includes having patience. But you must have it, and the capital to sustain it, or your company will fail. You don’t have to build your entire vision all at once, or at the outset of your new venture. If you have the patience to plan and execute carefully, while still being agile, your patience will pay off in those hidden strategic assets that make a company successful (clarity, responsibility through the ranks, market responsiveness, and a single collective vision of the company’s goals). time to complete a deal ~ to structure it, and test it in the field, and then wait long enough to assess its value over time. So few CEOs integrate how long it takes to complete a deal, when planning their implementation. time to acceptance of your product and pricing by your market and your channel. time to know the experience and cooperation of your strategic partners. It helps to remember that just because you want it to move faster, doesn’t mean that it will. I remember one young buck in Sales, during his first presentation to the Board of Directors, promising revenue from channel sales within 4 months of product launch, and this was before any electronic downloads were available, and before he had a list of potential channel partners. In his eagerness to please, and his lack of planning, he “wished away” the months of recruitment and training required for effective sales through an independent distribution channel. Successful partnerships are based on clarity and trust, with each of the partners contributing their best efforts to the partnership and its common goals. To create this clarity, the partners should write a deal memo with benchmarks, timing and assessment criteria. After the initial performance and evaluation of all parties by the other parties, then write a letter of intent (LOI) for consideration which covers the unknown “what ifs.” Evaluate what value if offered by each partner. Determine which partners assume what liability within the partnership. Then commit to the full contract, when the partnerships are clearly understood. Everyone will move forward with more clarity. In our personal lives we call this process courtship, perhaps now a fading art. How well do you know each others’ companies, cultures, strengths and weaknesses? What do others say about them and their ability to deliver results ~ speak directly (not by email) to five or more references, and ask about specific weaknesses, strengths and ethics. What is the real scope of work for each party involved? What are the roles of each? What benchmarks and timing for delivery of the benchmarks have been agreed among the parties? What are the consequences for missing each benchmark – to the alliance or venture, and to each responsible party? Who is assuming what liability for which venture or partner? What is the real time commitment to the next benchmark? Will your early commitment create a dependency from which you cannot extricate yourself and your partners? What conditions would end of the alliance or venture – even conditions with no fault to any of the participants (like a market shift, a disruptive competitor or an economic downturn)? If the alliance or venture must end, who will take what steps and assume what responsibilities? Make a plan, however rudimentary or evolved. What needs to be achieved to respond to pressures of time to market? What needs to wait until other divisions, products, market movements (some outside of your company and your control) are more mature? What is the timeline for these plans? Know that as your involvement with a venture (your own or others’) or a partner becomes more deep, your commitments will experience “scope creep” – the inclusion of tasks and responsibilities not documented or assumed on your part, but perhaps assumed on the other party’s part, or missed by all involved. Pacing involves your managing this scope creep, and anticipating time for handling these unexpected responsibilities. Pacing also involves giving your strategies the time and capital needed to allow them to succeed. When hiring, give yourself and your new employee time to settle in, and to create value for each other. But have the patience to attend to this new relationship. This is achieved again by clarity of roles, benchmarks and expectations, and of regular evaluation of those expectations. This is not impatience, but effectiveness. It works if you have conducted the correct due diligence on a new hire, clearly defined (and re-defined) your expectations, and had the patience to listen during the initial months to feedback from your new hire and your staff. So, assess your priorities, plan your path, and make sure you pace your value, commitment, contribution and return on investment. Assess also the ultimate value and ROI of your time commitment – to a venture, a new product line, a new hire, a deal, or an alliance. Yes, there is your vision, and there is your energy. Sometimes you have too much of both, especially if this is your first time as CEO of an early stage company. I respect all the “time to” issues in play, and also know that the time and energy spent on the wrong path or with the wrong partners will cost you much more than the patience to plan and implement correctly. The agility you need is to not to move more slowly, but to move ahead with clear direction, being patient enough to take all the steps required, no matter how quickly, to build the vision you see. Keeping your perspective that your venture is but one part of a larger, more complex market is essential to success. Understanding your company’s position and value in the supply chain allows you to make the correct decisions about what power you have in a negotiation, how to craft a win-win deal that keeps the other players supportive of your company’s interests, and keeps you a sincere participant in the larger network of companies that create your market sphere. And this perspective maintains your reputation in your industry, whether you grow your company for decades or move to a new venture in a few years. There are serious consequences to losing this perspective, which is easy to do, especially when our passion for our vision of our business becomes so embedded in our identity that the whole world seems (or seems not to) reflect our own focus. But the world is not reflecting our passion. Our obsession is clouding our vision of the larger scheme of things. I once read that addiction is the condition of narrowing one’s world view and focus to the getting and using of the addictive substance, such that all other activities become nothing more than a part of this quest. The obsession with our success in our own business is a kind of addiction. our interpretation of other aspects of our life and the larger world become no more than parts of our quest. our focus remains turned inward to our obsession, and we begin to lose perspective on the larger world that doesn’t know us or care about us and on our immediate world of friends and family and community that does care about us. This loss of perspective shows up in many forms. We are home with our family, but we aren’t paying attention. Our children speak to us but we aren’t listening. Our minds are never focused except on the business, shutting out even our community involvement. We watch our business partners for signs of disloyalty or lack of full commitment to our vision. We expect our staff to be available 24/7, even when they are not even partial owners of the business. We mis-read the larger market picture, because our company is not the center of the market. We become short-tempered with anyone (especially those closest to us) who is not focused on our company’s success. We become boring, as we cannot speak about anything but our business. We lose our perspective on our position and value in the supply chain and the larger market. We forget that much of the world doesn’t know we exist. And doesn’t care. We lose our sense of humor. We forget how to relax, enjoy ourselves, and take pleasure in other activities. We lose our balance with all the other things in the world. And this loss of perspective can happen whether the new company is succeeding or failing. Often when the new company begins to succeed, something worse happens. This happens more often to first-time entrepreneurs, or entrepreneurs having their first taste of real success. We are eaten by the power dragon. Once the power dragon has us, our identity loses all semblance of its perspective. We, tasting the first sweet nibble of power, become extreme in our ego and sense of importance. Everything we do is significant. And, consequently, most things other people do becomes insignificant, even annoying. As this perspective grows stronger and more evident, many folks around us begin to express their doubts about our business and our perspective. We become short-tempered and more suspicious than before. Once the power dragon has us, it is a difficult (perhaps impossible) challenge to return to our former more rational selves. If we are lucky, the power dragon spits us out, and we have only lost the capital, or the business, or our self-regard. Hopefully we have not lost our family, as many first-time entrepreneurs do, especially the successful ones. An investor’s worst nightmare is to find their CEO eaten by the power dragon, perspective lost, and bad decisions coming into play. I have watched these first-time successes lose everything just as the success was arriving. Seems there is no way to predict this occurrence. So, I shall share a code word with you who play with the power dragon: Ozymandius, King of Kings. That’s you, someday, if you cannot regain your balance. Part 10: Courage to move forward, or stop, and to know when to do either one. “There are five market realities that tell us that this business cannot succeed, no matter how much the others say they want you to join as a founding partner, or how excited they are about the market potential. One: the patent on which the new technology is based has been allowed to expire. Two: you have no defensibility against your proving the market for this product and then having an offshore manufacturer produce and land a competitive product at less than one-tenth of your price, just as the mass market is ready for it. Three: market realities….” (He did not join this product business, but continued his successful consulting practice). “The capital investment players are telling us that they are not seeing the value in this product. Even if they are mistaken, now that you are out of seed capital, your valuation at Series A will be so low that you are likely to lose control for your company by Series B, as your time to market is uncertain and could take much longer than you have planned. If this happens – if you miss your benchmarks in Series A, and find yourself in a down round in Series B – you may find yourself working for your investors without control of your company for the next several years, with no control over its growth or exit. So we should re-think your launch strategy, find strategic capital rather than equity capital, and grow organically or in niche markets or international markets until we have capitalized the company in a new way.” (She tried this approach but the economic crash caught her and the business could not be sustained). “You must focus this enormous idea on a single market (pick enterprise, business or consumer) and productize this idea for that market and a target profile customer. This kind of product can be built quickly, with minimal capital, and thrown into the market in a soft launch or “Google beta” to see what feedback we get for refining the product. Then refine the product and move on from the soft launch to a hard launch, and get started. The longer you think about all the potential markets and products this idea can generate, the best markets will be closed to you.” (He did not, and missed his market timing, never gained significant market share, and his investors “sold” the company for its assets some years later, never creating wealth). “I don’t like it. You offer your partner a chance to buy you out at $5-8 million before you put the company on the block for sale. You don’t know what competitive offers you may receive. You are leaving too much money on the table. Oh, the partner didn’t get it, so he turned it down? O.k., so now we write in the offering documents that as CEO you are available for 120 days’ orderly transition, then you are gone. That may limit your potential buyers to those that have management they want to put it place. It may reduce your ultimate valuation. But you will be free to move on to the next thing. If you are willing to risk these unknowns, we can write this in.” (She did, and the company sold for $50M and she walked away with $25M). These stories are based on actual events. In some cases, the entrepreneur moved forward, in other cases he abandoned his plans. In one, she drew her boundaries and stuck to them. In others, the CEO persisted and the company perished, even after a long life. As a CEO, you need courage. Every day you are faced with critical decisions, small and large, that determine the success of your company. For many CEOs, moving forward is the easier way – especially if the company has momentum. Then, moving forward is the path of least resistance. And sometimes moving forward is just the desperation of not knowing any other path to take. Sometimes, moving forward means changing your strategic direction in a significant way. This can be more difficult than moving forward in the original direction. This flexibility takes courage to withstand the doubt it may place in others’ minds, or the criticism by those who do not understand how this shift fits into your larger vision. It takes courage to stop. Many emotional issues are in play, even if they are unrecognized. Fear of failure. Embarrassment. Concern for the welfare of the team. Denial that the company is beyond recall. Loss of the dream which may have become your identity. You need courage even to stop to think about stopping. It is an act of bravery to slow down long enough to objectively examine the company’s financial information, market data and product cycles (R&D and sales both), and to look at the information objectively, as if it were someone else’s company. It takes courage to decide. To decide a strategy, a hire or fire, a new direction. Especially it takes courage to decide to stop – to stop before you begin, or before you take that first outside capital, or in the face of unforeseen market or economic changes. It takes courage to stop your company, to give the team and your colleagues and your market the news. And it takes courage to stop your company and not to take on this ending as a mark of failure. A company can fail (or you can change your mind for valid reasons) without your failing as a person. The courage comes from the strength to separate your identity from your venture, to assess the qualities of each not in relation to the other. And the ultimate courage is to stay, or change direction, or take your best shot, or stop your company – and then walk on, self-confidence intact, and take your next best shot. You can do it. If you have the courage to start a company, you have the ultimate courage to carry on as you decide. Good luck. It’s one thing to be invited to speak at your industry’s major event. But it’s another for a speech to be profitable — to create the right impression for your hosts, your audience and prospective customers or clients. Widely acclaimed as a speaker and based in Los Angeles, Joey Tamer is a strategic consultant to Internet and digital media entrepreneurs, and to expert consultants in all fields. Graciously, she’s sharing her secrets to making the most of your opportunities from a speaking event. Once accepted as a speaker, be as low-maintenance as possible. Send in everything you are asked for as soon as you can – blurbs, bios, photos, and equipment requests. Do not make the administrators chase you. A reputation as a cooperative speaker, combined with good evaluations from the audience, tend to ensure repeat offers to present. Arrive at least 15 minutes early to your presentation room to make sure you understand the physical conditions and can test the equipment and confer with the tech support and administrative support handling the room. This early time allows trouble to be detected and fixed. If there is nothing to prepare, you will have time to personally greet the early arrivals in the audience, which they will appreciate, especially if you ask them about their specific interest in the topic, or any question they might like you to address. Many of the audience are shy in front of presenters, and would not speak with you afterwards. These are particularly appreciative of being welcomed before the presentation. When presenting, follow the requests of the organization: make sure audience questions are repeated or are asked into a microphone, so that the recordings are valuable. If you are asked to make announcements (for example, to fill in evaluation forms), comply graciously. Write a thank-you email to the host of the conference, reporting on the success of the presentation, your enjoyment of the event, and your interest in presenting at future events. This should be sent no more than two days following your presentation. Send a follow up email to your other panel speakers, appreciating their insights. (If you chaired the panel, then thank them for their expertise). Send a follow up email to anyone from the audience who gave you his/her card and/or spoke to you afterwards. This email must be sent individually to each person, and you must reference what issues they shared with you, which you should have noted on the card during or after your conversation with each one of them. Although you can use standard paragraphs in this email, at least one paragraph must reference that you remember the conversation. Do not send a mass-mail, form email except to those who may have taken your card, left theirs, and did not speak to you. This email must speak to your regret in not having a chance to speak to them directly. In the email’s content:Reference access to your website. Engage them in further conversation about your product or service or consultancy without selling.Send a “trinket” – some blog article of yours, or others’, which extends the conversation and will be of use to them.If you plan ahead, you will offer your audience access to this trinket if they will give you their card after your presentation. The trinket can be delivered via email or via a link in the email, which drives the audience to your site to access it there with a password, created for this audience. How to Get More Opportunities as a Guest Speaker — If you’re successful in generating speaking opportunities, you’ll create opportunities for your career. At the least, you’ll be in a position to raise your business profile. Ideally, prospective clients or customers will be in the audience. Count on opportunities to develop centers of influence — people who can refer business to you. 7 Steps to Become Great at Thinking on Your Feet — Have you ever been at a loss for words? For example, when asked a question, have you been tongue tied in a sales presentation, while speaking at an event, in negotiations, during an interview or a staff meeting? Getting tongue-tied is not a fun experience. 5 Bold Steps for Best Results From Your Marketing Plan — Why do seemingly great marketing plans fail to yield the desired results? Well, one reason: Such plans don’t turn the ideas into reality because they’re not action-oriented. What counts is the scheduled specific footwork, and then tracking the results. There’s a second reason, quality of execution.